Since opening our Rockhampton doors in June 2012, our team has grown from a two-man operation to now encompassing numerous physiotherapy, exercise science and administration staff. Movement Improvement Rockhampton has developed into a clinic that services a variety of sports, industries and conditions based upon the most up-to-date and evidence-based practices. Our team brings a unique set of skills that you can only experience at Movement Improvement. We are confident that we will be able to provide you with the high quality service your body and mind deserve. Roger Fitzgerald has 30 years of experience as a sports physiotherapist and is considered to be a leader in the field of musculoskeletal biomechanics. Roger has worked at every level of sport, from junior development through to the Olympic elite level. During this time his services have been utilized by teams such as the Brisbane Broncos, Brisbane Bullets and Swimming Australia, where he was team physiotherapist for more than a decade. Roger was selected as a Physiotherapist for the Australian Olympic Teams at the Atlanta Olympics in 1996 and the Sydney Olympics in 2000. While continuing to work with some of Australia’s best athletes, his skills have been recognised internationally and he was engaged by the Chinese in the preparation of their athletes for the Beijing Olympic Games in 2008. He also attended the 2012 London Olympics as physiotherapist for the Singapore Olympic team. Over the last 8 years Roger has turned his attention to assisting the BMA ‘Industrial Athletes’ throughout the Bowen Basin. Using the same principles that he has applied to assisting some of Australia’s greatest athletes he has been able to help many seriously injured workers return to their jobs. As rewarding as it is to be involved in the preparation of Olympic gold medalists, Roger finds equal personal satisfaction helping junior athletes achieve their goals, and injured workers get back to their pre-injury status. 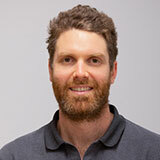 After completing the Master of Physiotherapy at the University of Canberra, Simon joined our team in 2012. Initially dividing his time between the Rockhampton clinic and mine sites across Central Queensland for Movement Improvement, he is now full time at the clinic and enjoys physiotherapy challenges within sport, musculoskeletal and paediatric streams. 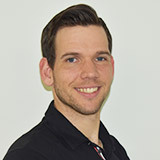 Simon is Level 2 APA Sports Physiotherapy accredited also holds degree qualifications within strength and conditioning, human movement and business. Simon thoroughly enjoys attending local sporting events and watching any possible sport he can. His primary interest lays in his passion for swimming and in particular, assisting coaches to enhance a swimmer’s potential. Further to this, fatherhood has inspired him to pursue a stronger paediatric focus to his practice. Simon feels strongly about laying the best possible foundation for each young human to develop from and is continuing to refine his skills in doing so. Erin completed a Bachelor of Physiotherapy with Honours and Bachelor of Exercise Science in 2010 at Griffith University on the Gold Coast. After working for a couple of years on the Gold Coast, Erin moved back to Rockhampton where she joined the MI team in 2014. Erin has always had a passion for musculoskeletal physiotherapy and since working with M.I, has found a strong interest in developmental and paediatric physiotherapy. Outside of work, Erin’s main interest and passion lies within Olympic Weightlifting and Crossfit. Erin is certified Level 3 weightlifting coach with the AWF, and runs a weightlifting coaching business, Olypower, outside of MI. In addition to treating any sporting injuries, Erin loves helping weightlifters and crossfitters move better and to build a solid foundation to work from as to help prevent injuries. Taylah graduated from Central Queensland University with honours in Physiotherapy in 2016. Taylah is the first student that we have hired directly out of an undergraduate program, which is a credit to her commitment, knowledge and skill base. While studying, Taylah was Head Trainer at the Rockhampton Panthers AFC and continues to volunteer at the club to further increase her exposure to acute sporting injuries and their management. 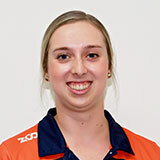 She has played Aussie Rules with the club since the beginning of the Capricornia Women’s competition and is also an A Grade netballer with Frenchville. 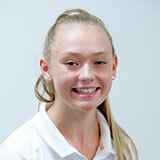 While Taylah’s initial interests for physiotherapy began in the sporting arena, she enjoys assisting the wider community with their musculoskeletal conditions and making the most of these learning opportunities. Andrew completed a Masters of Physiotherapy Studies at The University of Queensland, St Lucia Campus. Prior to this he completed a Bachelor in Exercise Science and Business Management while working as a tennis coach and a strength and conditioning coach. He later went on to work full-time in strength and conditioning before returning to University to complete his Masters. 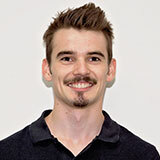 In pursuit of unique physiotherapy experiences and knowledge, Andrew moved to Central Queensland to join the Movement Improvement team. While Andrew enjoys treating all musculoskeletal conditions he has an enormous passion for the treatment of chronic sporting injuries, in particular tennis specific injuries. Stu graduated from Central Queensland University with first class honours in Physiotherapy in 2018. Prior to this he completed a Bachelor of Human Movement Science while working as a personal trainer and strength and conditioning coach. He later went on to lecture at the Australian Institute of Fitness in Brisbane before returning to University to complete Physiotherapy. Stu enjoys treating acute and chronic musculoskeletal conditions, with a passion for improving quality of movement and performance. Stu has a special interest in strength and condition including resistance training, Calisthenics, Weightlifting and CrossFit. Geordie graduated from The University of Queensland with first class Honours in Physiotherapy in 2018. Whilst completing his studies Geordie worked as a level two sports trainer for sporting teams including the Brisbane Roar FC Women’s Soccer team during their 2017/18 W-league season. Geordie grew up in Brisbane playing soccer within the National Premier League and now enjoys triathlon, long distance running and the quest for coffee. 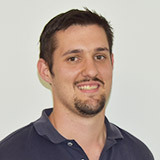 Whilst Geordie’s interests started in sports physiotherapy he enjoys the challenge of treating all musculoskeletal conditions and is looking forward to treating all ages and stages. Jason completed a Bachelor of Physiotherapy graduating with a First Class Honours in 2016. This was a 4 year degree of which 3 were taught in Holland and the final year between Australia and the UK. Before migrating from the UK to Central Queensland, Jason worked full time in a rehabilitation centre for injured men and women firefighters. Having had a life long interest in health and fitness, his goal is to help each person regain and improve function, promoting independence in their own health management. After graduating with a Bachelor of Physiotherapy from UQ in 2005 Sherree has experience in all facets of physiotherapy, but now finds herself specialising in one particular niche of physiotherapy. 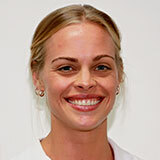 In 2012 she completed a Masters in Clinical Physiotherapy (Continence and Women’s Health) at Curtin University. Sherree is the only titled (Masters Qualified) Women’s, Men’s and Pelvic Health Physiotherapist in Central Queensland, and therefore provides irreplaceable services to the region. She is now currently studying Conservative Management of Pelvic Organ Prolapse through the University of SA. Sherree grew up in Rockhampton and is now a Mum of 2 very active beautiful young boys. In her down time she enjoys walking, going to the gym, yoga and loves a morning coffee made by her husband. Jackie has a degree in Applied Science (Human Movement Studies), is a Level 2 ASCA Strength & Conditioning Coach and has over 13 years of experience in the health and sporting industries. Jackie has worked for several years as a Strength and Conditioning Coach, helping athletes of all levels and from a multitude of sports develop their overall athletic ability. 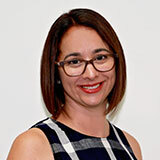 Jackie has also tutored at QUT, written lectures for the CQU Sports and Exercise Science degree and is the author of a published scientific journal. Jackie has worked in Corporate Preventative Health and in the CQ Mining industry, bringing a wealth of knowledge as Head of Exercise Science, to the Movement Improvement team. Prior to moving to Rockhampton, Jackie worked Acceleration in Auchenflower QLD before setting up and becoming Director of performance at Acceleration Chandler. Acceleration was responsible for multiple Strength and Conditioning Programs from Junior level to Professional. Jackie has since started the Exercise Science department of Movement Improvement, CQ's premier provider of Exercise Physiology and Athlete Development. Jackie still loves coaching and has great passion for helping her athletes and coaches realise their potential. Caitlin has completed a Bachelor of Clinical Exercise Physiology (Hons) at the Queensland University of Technology (QUT). She is enthusiastic about improving the health and wellbeing of people through healthy lifestyle choices. 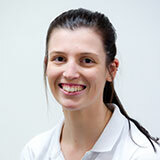 Caitlin has an interest in the clinical exercise field particularly with the health of our ageing population. She enjoys working with a range of chronic conditions such as musculoskeletal, cardiovascular, metabolic and neurological. Caitlin has a sporting background in swimming and dance and enjoys staying fit by going to the gym, walking and other recreational activities. 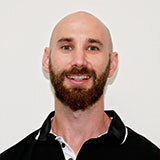 Corey is one of our Performance Coaches, and has a Degree in Sports and Exercise Science. Corey hopes to complete further study in the future but at the moment is happily focussed on helping the Movement Improvement athletes unlock their athletic potential, improve their skills and be a meaningful part of their performance. Corey plays AFL for Glenmore Bulls, where he is a loyal member, coach and player and loves watching NBA. Michael graduated from the University of Queensland with a Bachelor of Exercise and Sport Science in 2015 and has recently moved to Rockhampton from Brisbane. He is a level 1 ASCA accredited coach and has been working with athletes to assist them achieve their goals for the past 3 years. Michael has experience working with athletes ranging from juniors through to those competing at a professional level. Michael most enjoys seeing the growth and improvement our athletes make as well as watching them compete in their chosen sports. Kelly started with our front desk team in late 2014 where she uses her experience in administration and customer service, as well as previous knowledge as a Personal Trainer and her own sports injury rehabilitation. Kelly grew up in Tasmania, where she enjoyed a very active lifestyle close to the beach. She participated in little athletics, hockey, basketball, badminton and surf lifesaving. In her mid 20’s she moved to the Gold Coast, where she completed a Certificate IV in Personal Training. She worked at Fernwood Women’s Health Club, then at The Athlete’s Foot before moving with her young family to Rockhampton. Kelly keeps herself active chasing around after her 2 workings dogs, and enjoys watching her boys play sport. Kate joined our ever expanding administration team at the beginning of 2016, after graduating from Rockhampton Grammar School. She is a friendly, helpful and delightful young lady to have around the office. Kate is a country girl having grown up in Mitchell, about 5 hours west of Toowoomba on a sheep and cattle farm. Her family moved north of Rocky while she was in primary school, and she attended St Anthony’s and then boarded at RGS for her first year of high school. After taking a year off, Kate is now studying a Bachelor of Exercise and Sports Science at Central Queensland University. She is naturally very sporty, being involved in dancing and touch football, and more recently Rugby 7’s. Meri grew up in Tamworth, NSW. She had a very active upbringing and was heavily involved in horses, swimming, volleyball and hockey. 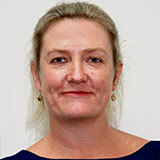 She has an Associate Diploma in Practice Management, and has worked in women’s health, general practice and more recently at the CQ Uni allied health clinic. Her family moved to Rockhampton at the end of 2011, and they have been involved in surf life saving, swimming and rowing with their son, Sam. Meri loves animals, and has even had a pet rat and spiders because she can’t kill anything. She loves getting up in the morning and walking her dogs along the beach.